Milwaukee - Fornear Photo | Husband & Wife Wedding Photographers Traveling the Midwest & Beyond! Quoting Alice Cooper from the famous movie Wayne's World "mill-e-wah-que" is Algonquin for "the good land"... and we couldn't agree more! 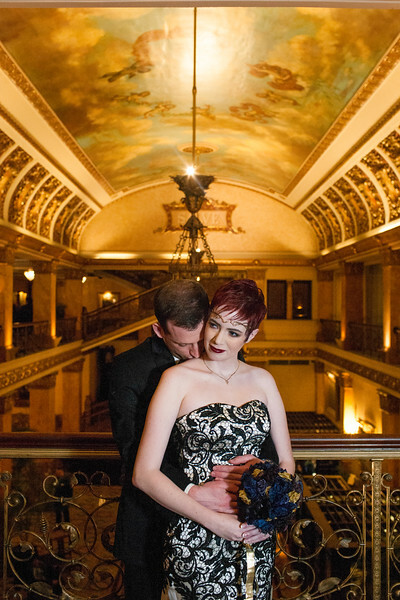 Milwaukee is a fantastic place to host your wedding nuptials. We love Milwaukee so much that we even lived there for about 5yrs. From all of the beautiful shores of Lake Michigan to the amazing craft breweries, friendly faces, delicious restaurants and things to do like attending Summerfest, State Fair and countless other festivals throughout the year Milwaukee is a pretty awesome place to be. Having a Milwaukee wedding is an amazing idea since there are so many great options for venues. Thinking of having a craft beer themed Milwaukee brewery wedding? Why not have your wedding at one Milwaukee's craft beer wedding venues like Pabst Best Place, Sprecher Brewing, Lakefront Brewing, Brew City MKE or a place just outside of Milwaukee like Delafield Brewhaus. Are you thinking about having a Milwaukee Offbeat Bride wedding or an LGBTQ Milwaukee wedding? If you are looking for the right place for you and your partner to tie the knot some of our favourite more unique locations like Anodyne Coffee in Walker’s Point, The Box Milwaukee, Redline Milwaukee, New Berlin's Ale House Bowling Alley, the champaign lounge Cuvee, Shorewood's Hubbard Park Lodge, The Domes (Mitchell Park Conservatory), Urban Ecology Center, Milwaukee's Harley Davidson Museum or even a wedding at the Milwaukee Public Museum along the streets of Old World Milwaukee. Maybe you are a traditional bride and looking to go a more classic route on your wedding day. You cannot not love both the beautiful and elegant wedding settings in Milwaukee like the Milwaukee Art Museum and it's Calatrava, the world-class (and supposedly haunted) Pfister Hotel, the Black Swan, Boerner Botanical Gardens, the Milwaukee Community Sailing Center, Coast, Miller Room, the Grandview Inn, the Elm Grove Women's Club, the Barn at Trinity Park, the Atrium in Shorewood, 1451 Renaissance Place, the Grace Center, Hot Water Warehouse, Milwaukee County Historical Society, South Shore Pavillion, Historic Pritzlaff Building, The Villa Filomena, The Grain Exchange - A Bartolotta Catering, Surg on the Water, Hotel Metro Wedding, Hilton Milwaukee City Center or the Marcus Center for Performing Arts.